Green Day are the first act to be announced to headline Barclaycard presents British Summer Time Hyde Park in 2017. The 'Bang Bang' hitmakers will take to the Great Oak Stage on July 1, where they will showcase their forthcoming LP 'Radio Revolution' on what will be the festival's fifth birthday. Frontman Billie Joe Armstrong - who is joined by bassist Mike Dirnt, drummer Tré Cool and lead guitarist Jason White in the group - said: "London in the summer, us and tens of thousands of fans having the biggest party in one of the world's most legendary venues. We have the best year to look forward to and this has just made it extra special." James King, Senior Vice President of AEG Live, added: "We're super excited to be announcing Green Day as our first headliner for 2017. So many hits and also some amazing new music as well. "London is going to be treated to one of the best stadium bands of our generation on the Great Oak Stage in Hyde Park." Last year saw the likes of Stevie Wonder, Massive Attack, Florence + The Machine, Mumford and Sons and Kendrick Lamar take to the stage. 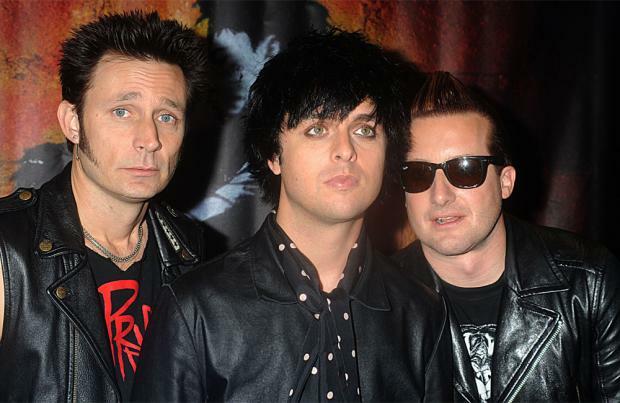 'Revolution Radio' is Green Day's first album since 'Uno! ', 'Dos!' and 'Tre! ', which were released in 2012. Their eagerly-anticipated 12th studio LP also features the song 'Still Breathing', which is a reflection of the 44-year-old singer's stint in rehab for prescription drug addiction in 2012. Billie previously shared: "I'd rather write something where my eyes are forward, rather than internal. I hope it makes people happy and makes a difference in some way, by people recognising themselves in the song." Billie also said he can't wait to get on the road again. Asked at the time if he's looking forward to playing the new songs live, he said: "Yeah. We're probably going to be announcing dates pretty soon. We've been in the garage hammering them out, and it sounds great. Jason White, Jason Freese and Jeff Matika are back with us, and we've got the gang back together." The punk pop legends drop 'Radio Revolution' on Friday (07.09.16) and general sale tickets for their BST Hyde Park show go on sale on the same day.